At VCMC, your pet's health is always our first priority. Our health care plans are based on the most current recommendations from the American Animal Hospital Association. While the recommendations below are standardized, you and your veterinarian will work together to create the best care plan for your pet. For an explanation of the vaccines and tests mentioned, please scroll to the bottom of the page. Puppies can change and grow from one day to the next! At every visit some of the things we’re evaluating are growth and weight gain, nutrition, tooth eruption, and behavior. Having a puppy can be an exciting yet challenging time for pet parents. That's why we’re here to help you and your pup through the journey! VACCINATIONS - At your puppy's first exam, you and your veterinarian will discuss your puppy’s lifestyle and will choose the appropriate vaccines for him/her. We strongly recommend that all pets be spayed or neutered. Failure to spay or neuter your pet can lead to many unwanted health issues, including breast cancer, testicular/prostate cancer, and uterine infections. Another thing to consider is that dogs that are not sterilized are more likely to roam, urinate in the house, and have aggression issues. Pets age much faster than humans do! In fact, averages state that dogs age seven years for every 1 year a person ages. Examining our pets every 6 months is akin to us getting exams every 3.5 years! A lot of things can happen in that time, including changes in health, weight, nutrition and behavior. We want to make sure we’re addressing those issues promptly. The earlier we intervene, the better our chances for success! Estimates vary, but on average, a dog ages 7 years for every one of our human years. That’s why exams every 6 months for our senior pets are so important. As they age, many issues, such as kidney and liver disease, diabetes, thyroid issues, and cancer can occur. We want to have the best chance of a successful outcome and early detection is key. The old adage holds true in our pets… an ounce of prevention is worth a pound of cure! DA2P (Distemper): This has always been one of our core vaccines. It protects against a host of common respiratory and gastrointestinal viruses. Recent studies show that immunity from this vaccine lasts longer than previously thought. The American Animal Hospital Association (AAHA) indicates that after an initial vaccination series, followed by a booster 1 year later, this vaccine only needs to be given every 3 years. Based on this research, we at VCMC are now encouraging our patients to follow this recommendation. The vaccine manufacturers are supporting AAHA’s guideline by guaranteeing the 3 year duration of immunity. Rabies: This disease is a lethal virus that can be transmitted through the saliva of infected animals. There is no treatment for rabies, so prevention is our most effective strategy. It is also required by law that all pets are up to date on their rabies vaccine. The rabies vaccines is given as a puppy, boostered after one year, then boostered every three years, according to NJ state laws. Bordetella (Kennel Cough): As our pets become more social, they are exposed to more and more contagious diseases. Bordetella, or Kennel Cough, is one of the most common diseases that pets pick up during boarding, grooming, daycare and dog parks. Bordetella is commonly thought of as the main cause of kennel cough, but Parainfluenza is becoming a more common cause of dogs exhibiting signs of kennel cough. That’s why we’ve updated our policy to recommend an intranasal Bordetella vaccine that also protects against Parainfluenza. Please note that Parainfluenza is a different disease than Influenza, which is described below. We also still carry the injectable Bordetella, which does not include Parainfluenza. Influenza: There are two strains of Influenza virus that cause disease in dogs, H3N8 and H3N2. It is another disease that affects the upper respiratory tract of dogs and causes “kennel cough” type symptoms. If left untreated, infection with influenza can lead to pneumonia and death. Interestingly, this is a newer disease to dogs, having transferred over from horses several years ago. We recommend that this vaccine be given to all boarding, grooming and dog park dogs. Lyme: Lyme disease is endemic to New Jersey and is transmitted by ticks. Both dogs and people living in our area have been affected by this disease. Vaccination offers additional protection on top of our flea and tick preventatives, and should be given to those dogs that are outside frequently. We currently carry two versions of this vaccine, the Merial and the Zoetis version. Both products have an immunization guarantee, however the Zoetis product has slightly broader coverage. If switching from the Merial to the Zoetis vaccine product, an additional booster 3 weeks after the first is necessary for maximal protection. Leptospirosis: Leptospirosis is a bacterial disease transmitted in the urine of wildlife. Infection with Leptospirosis can cause liver and kidney failure. It is also zoonotic, meaning that it can be transmitted from your dog to you and your family. We recommend this vaccine for all dogs, big or small, that have squirrels, deer, skunk or other wildlife in their backyards. Bi-Annual Stool Parasite Testing: Dogs have their noses in everything, don’t they? They can pick up parasites from the dirt and grass that they encounter on their daily walks. Untreated parasites can cause diarrhea, weight loss, blood loss and malabsorption. Annual Heartworm and Tick-borne Disease Testing: This yearly screening test detects heartworm and three of the tick borne diseases commonly found in this area: Lyme disease, Anaplasmosis, and Ehrlichiosis. It is recommended for all dogs on an annual basis. Infection with heartworms can cause heart disease/failure, as well as lung, skin, eye or neurologic issues as well. Many dogs that are infected with tick borne diseases show minimal signs of illness, and infection can go undetected for months. Frequently, owners do not realize that their pets are suffering from some of the more subtle signs of these diseases, including malaise and soreness, until they are diagnosed and treated. Annual Junior/Senior Blood Screening: A thorough physical examination gives only part of the picture regarding your pet’s health. Even with a normal physical examination, problems may be lurking beneath the surface, including kidney disease, liver disease and endocrine (glandular) diseases. We recommend a yearly blood and urine panel to assess your pet’s organ function and metabolic profile. Any abnormalities on your pet’s blood work will be discussed and a treatment and diagnostic plan will be formulated by the doctor. Many conditions identified on blood work can be managed by treatments as simple as a daily tablet or diet change. Diagnosing these conditions early and treating them appropriately can help to extend your pet’s lifespan. Year Round Heartworm Preventative: Heartworms are parasites that are transmitted by mosquitos. They live in the heart of the dog and can lead to heart failure and even death.  We are seeing more and more heartworm disease in this area because many shelter dogs have come to New Jersey from the south, where heartworm is prevalent. Heartgard and Interceptor are two heartworm preventatives that we carry at VCMC. Year Round Flea/Tick Preventative: Fleas and ticks are alive and well in our area! Fleas on your pet can lead to tapeworm infections and significant itching, leading to skin infections. Flea infestations in the home can be difficult, expensive and time consuming to eradicate. Ticks carry Lyme disease and multiple other diseases. We want to keep these unwanted hitchhikers off of your pet, therefore we recommend you use year round flea and tick preventatives!